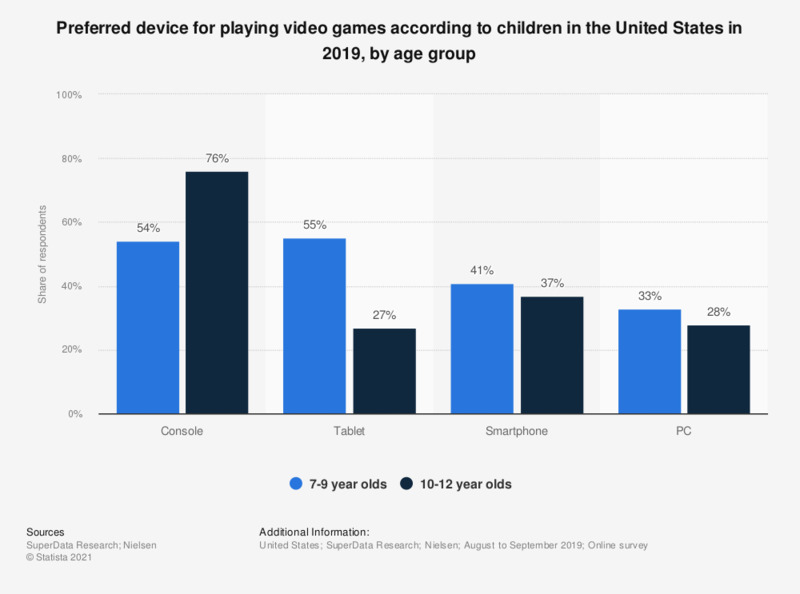 The graph shows information on the preferred device for playing video games according to children in the United States in 2015, broken down by age group. During the survey, it was found that 41 percent of respondents aged between six and eight years preferred to play video games on their tablets. The source does not specify the sample number or the date or type of the survey. India: Which of the following devices do you use to play games?